Every Business start with a consent that they will prosper their business in future years. As per accounting principles any business which is started must follow the fundamental assumptions of the accounting of the business and as per fundamental assumption the accounting the company should follow the “Going Concern” assumption i.e. it is presumed that every company is going to run in a long run. But no company survive in a long terms as per the business obstacles and practical issues. There may be many issues like the non payment of the debts, non compliance of the GAAP’s, no interest in the current business, competitive market and many other practical reasons. So due to these reasons the company either goes for winding up or go for liquidation. As on date it is not a big deal for the company to go for liquidation, as they want the profit and if they are not been able to generate their fixed costs then they went for the winding up of the company. In this assignment the companies like ABC Learning, HIH Insurance, One Tel Phone company are some of such survivors which have gone on liquidation due to various of the reasons. So these company has not able to survive in the market due to bitter situations of the market. Liquidation is the process which starts from the date when the Board of directors propose the liquidation in front of the Shareholders and then they approve the same. The company was the Australia’s largest childcare provider which almost manage to handle 12,000 childcare center in Austria and they use to provide service to more than 110,000 children. In early 19 month before the company was in profit and the stakes were taken by many shareholders. In the financial report of 2007 and 2008 the ABC Learning has proposed their current asset at 30 cent and 40 cent for every dollar of their current liabilities, this shows that the company was really in the potential liquidity crisis at these years but still the company was running in previous years. Further, as per the report the company has its debt of $1.9 billion as that date. But the company has no asset to sell and to recover the debts. Earlier the creditors proposed to sell the Australian business and to stay for other group companies, but later on due to huge debt and unable to continue the business the creditors agreed to wind up the 39 companies of the group and to recover the debt. So, the company went into the administration and receivership in November, 2008. Australian taxpayers and even the Australian government proposed not to go for the liquidation as the tax payer pays around $60 million so that the ABC Learning center should be kept open but the creditors were not agreed on the terms. Even the Common wealth bank propose the terms even the company has led $500 million from them. Directors propose to the shareholders that though the company has poor operating performance and rapid growth without an appropriate strategic framework is because of the ABC Learning’s downfall but the company has potential to run in future but the creditors has not agreed on their terms so on the final meeting of the creditors they have proposed to go for the winding up. It is one of the largest General Insurance Company of the Australia. Recently the CEO Mr Ray Williams in 1968 has bowed with the highest reputation for the company that the company is in the growth with highest number of the policy holders. Before liquidation the company has approx. 13 percent of the market share by a gross earned premium and 15 per cent market share by total Assets. The company structure is very complex with having more than 200 companies as their group subsidiary company. The company has business in whole over the world, having major business in United Kingdom, United states, Asia, Argentina etc. The company has estimated deficit of assets over liabilities on the order of Australian Dollar of 5 billion in the total balance sheet of total Australian dollar of 7 billion. Company has poor corporate Governance as per the Justice owned who was reviewing the insolvency of the company. Various times the company are doing the issues with the “Under provisioning of the accounts” and further the company faces with the actual expense in later years which increase the liabilities in the next years. The under provision of the company shows the profit in earlier years and the company use to generate more outflows from the market but later the company finds the expense in the later year which reduces the profit for that years. These under provisioning is a not as per the principles of the accounting and this will lead to the liquidation of the company. Abuses of Re-insurance, this has been done for various of the years, and so the company which are in the business with HIH are not getting the things right every time. The shares of the company has been acquired by the plaintiffs at the inflated value. The plaintiffs had paid the values more than the share value which they already have with for the same company. due to the mislead information about the company. After accepting the plaintiff’s position the authority has divided this fraudulent case in Ingot and Digi-Tech authority surveillance and then the monitoring and surveillance continues. They want to guide the road map for the shareholders but due to the spread misconduct the authority could not able to guide the way and then the company have to suffered to the resultant process. Even though the authority tried to convince the shareholders to wait for the correct valuation but the financial statement were not simply to adjust the loss suffered by the plaintiffs. After the speculation that were come before the authority in early 2001, the trading of the HIH shares was suspended temporarily on 22 February and later on APRA issued show cause notice. On March 6, Authority appoints KPMG to undertake a review of their financial position and then on 15 March the HIH board resolved that they have to appoint the provisional liquidator and on 27 August, 2001 the court placed the HIH group into official liquidation. One-Tel was the fourth largest telecommunication company in Australia. The company has their business across and more than eight countries. It has more than two million customers which were rating them at the top of the business. The company has initially launched on 1 May 1995 and the company has rapidly increase their business after the 1996-97 when their sales revenue has increased to Australian dollar 148 million and have an operating profit after tax of Australian dollar of 3.7 million. The company was unaware of the cash crisis until May 27. The quality of reporting the financial results of the company has gone poor and for which the company faced issues with non compliance many of the times. 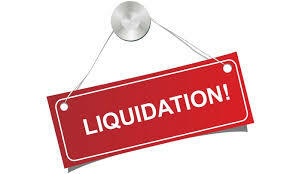 The biggest companies of the Australia have gone in the liquidation due to their poor management and insolvent issues. The insolvency issue raise in front of the company when the corporate governance of the company goes poor and the board members doesn’t work well for the company. The higher the debt of the company the higher the change of getting the liquidation of the company. So as all the three company were at higher debt, so they gets liquidated due to these issues. So, the companies in Australia has to perform at high quality so that the stakeholders should not propose to take back their consent.